Daryl Quitalig - For Shaw Media Cary-Grove defensive back Danny Daigle (21) tackles South Elgin wide receiver Dasmond Lockett (9) during the football game against South Elgin at Cary-Grove High School Saturday, Oct. 15, 2016. The Trojans won, 50-6. Daryl Quitalig - For Shaw Media Cary-Grove quarterback Bobby Collins (3) runs the ball during the football game against South Elgin at Cary-Grove High School Saturday, Oct. 15, 2016. Collins would finish the day with 4 touchdowns off of 140 yards rushing in the Trojans' 50-6 Homecoming victory. 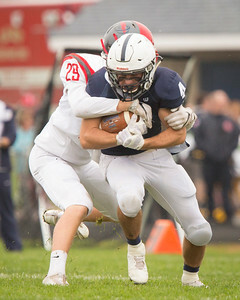 Daryl Quitalig - For Shaw Media Cary-Grove's Danny Daigle spins to avoid a tackle from South Elgin's Cj Bradford during the football game against South Elgin at Cary-Grove High School Saturday, Oct. 15, 2016. The Trojans won, 50-6. 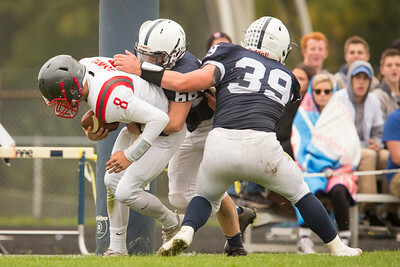 Daryl Quitalig - For Shaw Media Cary-Grove defensive lineman Jordan Laktas (66) sacks South Elgin quarterback Nate Gomez (8) in the endzone for a safety during the football game against South Elgin at Cary-Grove High School Saturday, Oct. 15, 2016. The Trojans won, 50-6. 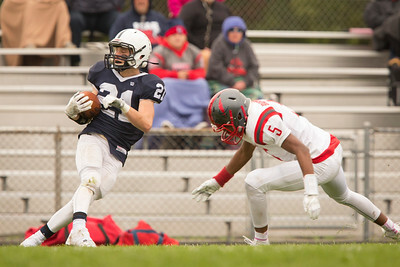 Daryl Quitalig - For Shaw Media Cary-Grove running back Ryan Magel (4) runs the ball during the football game against South Elgin at Cary-Grove High School Saturday, Oct. 15, 2016. The Trojans won, 50-6. 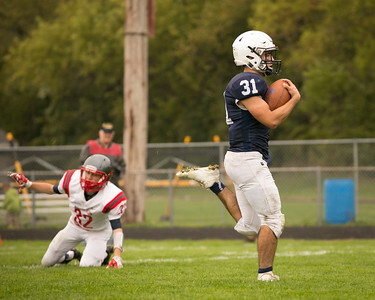 Daryl Quitalig - For Shaw Media Cary-Grove fullback Tyler Pennington (39) stumbles en route to the endzone during the football game against South Elgin at Cary-Grove High School Saturday, Oct. 15, 2016. The Trojans won, 50-6. 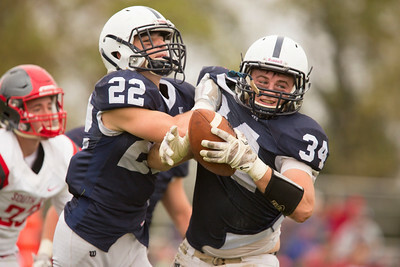 Daryl Quitalig - For Shaw Media Cary-Grove Zack Underwood (22) celebrates with linebacker Kevin Pedersen (34) after he recovers the ball from Max Skol's punt block during the football game against South Elgin at Cary-Grove High School Saturday, Oct. 15, 2016. The Trojans won, 50-6. 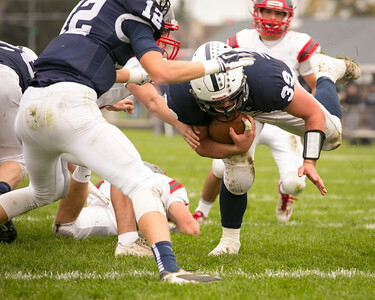 Daryl Quitalig - For Shaw Media Cary-Grove fullback Max Skol (31) runs the ball for a touchown during the football game against South Elgin at Cary-Grove High School Saturday, Oct. 15, 2016. The Trojans won, 50-6. 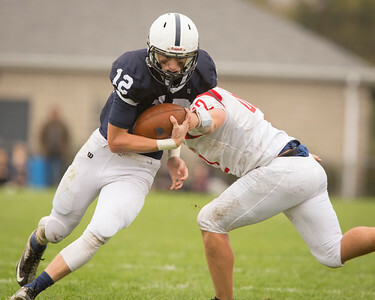 Daryl Quitalig - For Shaw Media Cary-Grove quarterback Quinn Priester (12) runs the ball during the football game against South Elgin at Cary-Grove High School Saturday, Oct. 15, 2016. The Trojans won, 50-6. 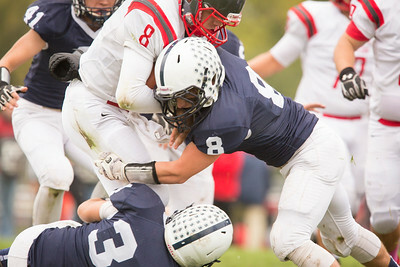 Daryl Quitalig - For Shaw Media Cary-Grove defensive back Collin Walsh (8) tackles South Elgin quaterback Nate Gomez (8)during the football game against South Elgin at Cary-Grove High School Saturday, Oct. 15, 2016. The Trojans won, 50-6. 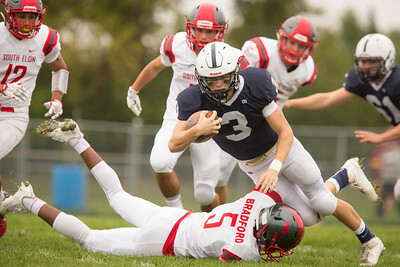 Cary-Grove quarterback Bobby Collins (3) runs the ball during the football game against South Elgin at Cary-Grove High School Saturday, Oct. 15, 2016. Collins would finish the day with 4 touchdowns off of 140 yards rushing in the Trojans' 50-6 Homecoming victory.